A strong and consistent reinforcement history makes owners very interesting to dogs. 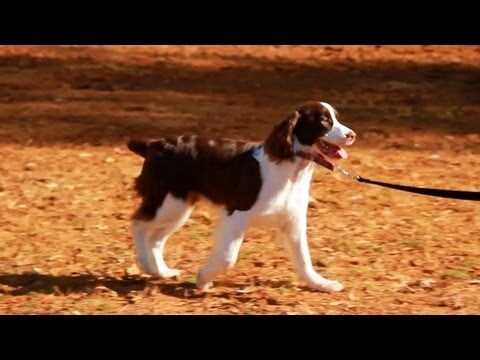 Until you’ve established a strong reinforcement history, practice your loose leash walking skills in no, and then low distraction level environments. Certain equipment can actually contribute to pulling behaviors. No pull harnesses and head halters are generally the best equipment for managing the pulling behavior while you train for polite walking. 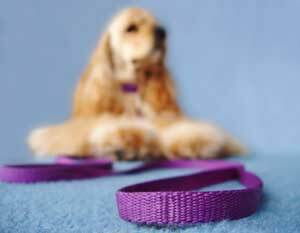 As a word of warning, many dogs strongly dislike head halters, so if you plan on using one, find a trainer who will teach you how to appropriately desensitize your dog to wearing it before you begin using it in your sessions. Really, equipment doesn’t fix or cause loose leash walking problems. 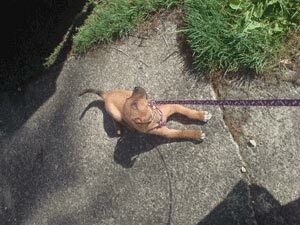 Only training can teach a dog to walk nicely on a loose leash. 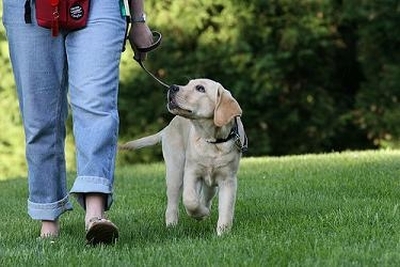 A dog can be trained to walk nicely on any collar or harness. In fact, whenever possible I like to train a dog to walk next to me without any equipment at all, relying only on reinforcement history and trained behavior to keep the dog with me – the leash should only be a management tool, never a training tool.